The campaign to lower radiation dose across imaging procedures is not limited to radiology, but is gaining momentum in the field of nuclear medicine. Over the last decade, the medical imaging community has been driving home the message to lower radiation dose levels as low as reasonably achievable (ALARA), but much of the focus has primarily been on patient radiation dose reduction in x-ray procedures, predominantly in computed tomography (CT). 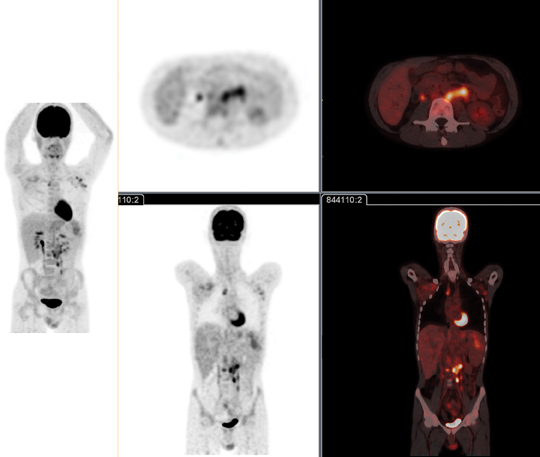 This is despite the fact that a number of nuclear medicine examinations deliver patient effective dose in the range of 5 to 20 mSv per study, which is similar to that in CT.1 Additionally, the adoption of hybrid imaging modalities, in particular positron emission tomography with CT (PET/CT) and single photon emission computed tomography with CT (SPECT/CT), has proliferated, further increasing the levels of dose exposure to patients. “It is important that we standardize dose to help ensure that all pediatric nuclear medicine professionals consistently optimize medical images while only using the minimum amount of radiation necessary to obtain these images,”2 said S. Ted Treves, MD, Strategy Leader of the Image Gently™ Nuclear Medicine Initiative, Chief of Nuclear Medicine and Molecular Imaging at Children’s Hospital Boston and Professor of Radiology at Harvard Medical School, Boston, MA. While the catalyst for change emerged out of a need to limit radiation exposure to children, it applies to patients across the board, and nuclear medicine has become equally committed as radiology to the cause of lowering radiation dose in imaging procedures. Similar to CT, lowering dose in nuclear medicine may compromise image quality, which can adversely affect diagnostic accuracy. However, with developments in dose reducing solutions, doctors may no longer have to trade-off image quality for lower patient dose. A significant advancement in nuclear medicine has come with the development of hybrid systems. When performing a SPECT/CT exam, coregistration is much more straightforward when SPECT and CT are combined in a single scanner because the patient remains in the same position during the acquisition of both sets of images.3 This is especially valuable during oncology studies and in bone imaging. While the nuclear medicine community calls for improved quality in CT imaging, it wants to avoid raising radiation levels. 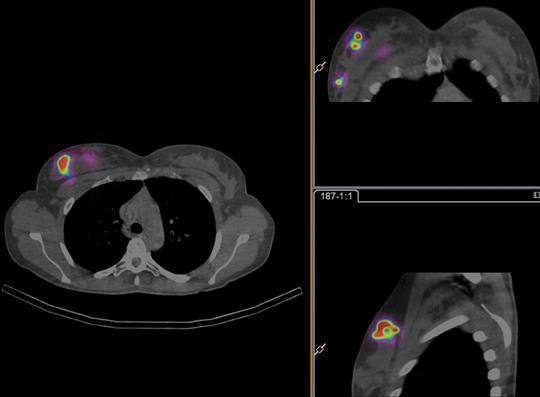 “One of the advantages with PET/CT is that it begins to carve into the volume of CT that has to be done in oncology. So, for example, the initial staging in lymphoma certainly needs diagnostic CT, and we almost always do a PET/CT. Many of these patients can be followed and scored on criteria with the combination of PET and the low-dose CT to look at changes in response to therapy. Therefore, some of the radiation dose to an individual patient can be decreased. That’s a benefit,” said James K. O’Donnell, MD, Associate Professor of Radiology, Case Western Reserve University (CWRU), Director, Division of Nuclear Medicine and PET. The challenge, however, has been acquiring quality images with low-dose CT. This dilemma has prompted the development of solutions like the Ingenuity TF PET/CT system by Philips Healthcare. Like CT, the Ingenuity TF PET/CT system is equipped with the Ingenuity CT platform and iDose4. In addition, PET sensitivity and accuracy is enabled with Astonish TF time-of-flight technology providing greater accuracy of SUV values via list-mode reconstruction without compromising performance. Enhanced image quality is possible thanks to Astonish TF, the latest generation in Time-of-Flight (TOF) technology, which leads to enhanced contrast by up to 30% compared to non-TOF images. With up to 5 times higher sensitivity than non-TOF scanners, you may be able to reduce radiopharmaceutical dosing in some or all of your studies (Figure 1). Also, Astonish TF technology allows Philips to select the best-in-class list-mode reconstruction algorithm without compromising reconstruction speed. Similar to PET, the focus for SPECT is heavily weighted on correlating and fusing images from CT with the SPECT images. This can be achieved with the co-planar design of the BrightView XCT that allows the CT and SPECT images to be acquired with little or no table motion between the two studies. 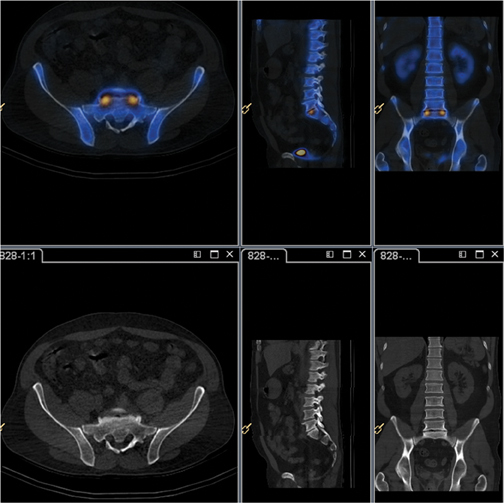 The flat-panel cone-beam CT (CBCT) component uses low dose scans for localization purposes. And since both the SPECT and CT acquisitions are planned from the nuclear medicine p-scope, there is no additional dose for scout or topogram imaging that conventional CT scanners use. “We have the BrightView XCT SPECT/CT, which uses the flat panel. It has the full iterative reconstruction of CT data. That aids us a lot on just routine SPECT, bone, MIBG studies, parathyroid studies, and all the different kinds of studies you want to use the data for,” said George M. Ebert, MD, PhD, Associate Professor of Radiology, Chief, Informatics and Imaging Technology, Co-Director of Clinical MRI, University of Vermont College of Medicine, Burlington, VT, in affiliation with Fletcher Allen Healthcare. 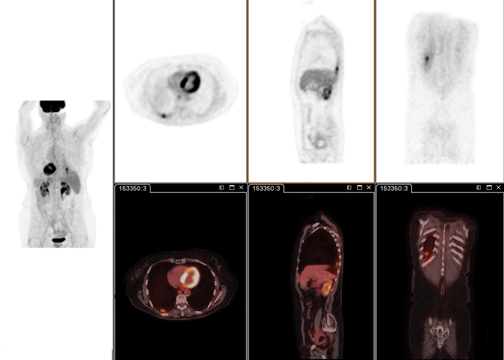 Effective management of oncological diseases requires repeated PET/CT or SPECT/CT imaging for diagnosis, staging, and monitoring. This adds up to multiple exposures to radiation throughout the therapy, and a need for dose management solutions. On the PET side, the advancements in the Ingenuity TF PET/CT System are driven by Astonish TF, which enhances lesion detectability with acquisition time that can be as fast as 30 sec/bed. Dr. Ebert noted how much faster the upgraded Astonish TF completes image reconstruction than the previous version (Figure 3). A recent NIH study5 found that TOF improves lung and liver lesion detection in patients. This is especially true in heavy patients. “Setting appropriate levels to either reconstruction so that you’re able to achieve diagnostic quality images has also been a factor in SPECT/ CT,” noted Dr. O’Donnell, who works with the BrightView XCT. This system is uniquely outfitted with both iterative SPECT and CT reconstruction capabilities. “We have the flat-panel detectors with the attenuation correction and the iterative reconstruction that’s gone into SPECT,” said Dr. O’Donnell. Advanced techniques in PET imaging, such as improvements in standard uptake value (SUV) accuracy, are leveraging the TOF for fast scan times. “When you do time-of-flight, you basically are counting every single photon, its direction, and how long it took to get from one side to hit the ring,” explained Dr. Ebert. The list mode feature helps Dr. O’Donnell and his clinical team to perform advanced imaging studies and the latest techniques in oncology. “We’re doing quantitative blood flow, and you need list mode for that because you have to capture that initial arterial input into the blood. Because it happens so fast, you can try framing rates, but it’s much better to have the list mode, where the computer’s concentrating on just gathering all,” said Dr. O’Donnell. “For cardiac and oncology imaging, if you want to post-process this into some sort of data study program—either respiratory data or cardiac data—it is one of the big advantages of list mode,” noted Dr. Ebert. Another technique for reducing dose that can benefit patients and clinicians is stress-only imaging. A method used for myocardial perfusion that can be applied in SPECT/CT imaging studies, stress-only imaging demonstrates that perfusion and gated imaging can be performed on half-count data with high diagnostic accuracy and acceptable image quality. The advantage of stress imaging, as Dr. O’Donnell points out, is “you can save the radiation dose.” “When [patients] have the test, if it looks normal in the stress images, you can save the radiation dose and the time,” he explained. Radiation dose optimization in nuclear medicine. Radiation Protection of Patients. https://rpop.iaea.org/RPOP/RPoP/Content/News/radiation-dose-optimization-nuclear-medicine. htm. Accessed October 14, 2011. Image gently, SNM launch initiative to standardize radiation dose in pediatric nuclear medicine. American College of Radiology. http://www.acr.org/SecondaryMainMenuCategories/NewsPublications/FeaturedCategories/CurrentHealthCareNews/IG-SNM-Standardize-NM-Dose.aspx. Accessed October 14, 2011. Miller JC. Hybrid SPECT/CT: Enhancing Nuclear Medicine. Radiology Rounds. http://www.mghradrounds.org/index.php?src=gendocs&ref=2010_july. Accessed November 7, 2011. Hansis E, Da Silva A, Hines H. BrightView XCT – flat-panel cone-beam CT with iterative reconstruction for localization and attenuation correction. Whitepaper. Koninklijke Philips Electronics N.V. 2011. Johnston J, Killion J, Veale B, Comello R. U.S. Technologists’ Radiation Exposure Perceptions and Practices. Radiol Technol. 2011;82:311-320. Heller GV, Bateman TM, Cullom SJ, Hines HH. Improved clinical performance of myocardial perfusion SPECT imaging using Astonish iterative reconstruction. Netforum community. Astonish reconstruction. Philips. http://clinical.netforum.healthcare.philips.com/us_en/Explore/White-Papers/SpectCT/Improved-clinical-performance-of-myocardial-perfusion-SPECT-imaging-using-Astonish-iterative-reconstruction. Accessed October 7, 2011. Borras C. Radiation Protection in Diagnostic Radiology. Radiological Physics and Health Services Consultant. Washington, DC. Nuclear Medicine Takes on the Challenge to Manage Dose and Image Quality. Appl Radiol.